The Connections between People Award recognises projects that bring people together, increase social connections and provide a sense of belonging to their town. 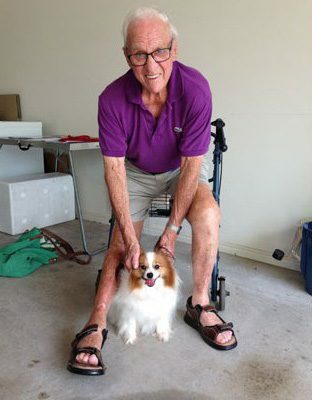 The Pets for Life (P4L) program supports older people living on the Sunshine Coast to continue caring for their companion animal, with the help of a volunteer. It is line with this award because it enhances opportunities for more isolated, ageing residents to develop social connections and access activities and events. The P4L program has three primary aims: to address social isolation in older people; to uphold animal welfare; and to provide meaningful volunteering experiences. The social isolation of older people is addressed through multiple means. Firstly, it supports the elderly to maintain their relationship with their companion animal. Secondly, regular visits from volunteers provide opportunity for social connections and potential new relationships. Thirdly, identify gaps in the older person’s life that may be alleviated through support, connections and referrals made by the Project Worker. Animal welfare is at the core of the program. The practical support provided directly affects the companion animal’s health and wellbeing. Without this support many animals may have been surrendered, re-homed or euthanized. 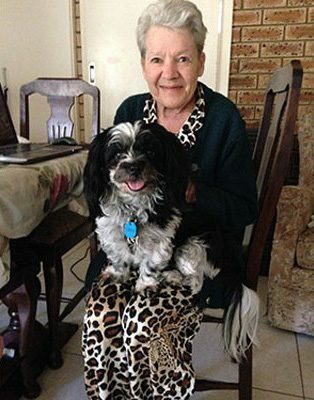 Many older people in the program have been assisted with information and arrangements to ensure the welfare of their companion animal when they are no longer able to care for them. Positive volunteer experiences are an equally important aspect of the program. Volunteers are screened, trained and then matched to an older person to support sustainable connections. The volunteer role and the relationships that develop could not be matched by paid workers. Therefore, the program aspires to support and value the contribution and experiences of volunteers. Although currently unfunded, the program has received government funding in the past. To maintain the program, participants or community members are welcome to make a donation so the lives of older people and their companion animals in our community continue to be enhanced.